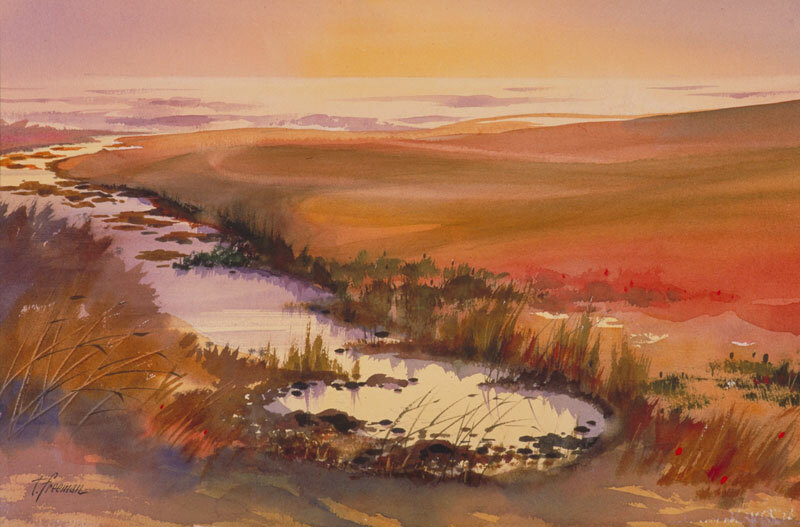 Thomas Freeman Original Watercolor Painting: "Pacific Afternoon II"
The late afternoon setting gave me some interesting shadows and colors for this picture. The dunes I did very smooth. The inlet with idle water comes in from the sea. Idle water is always fun to do with all the reflection possibilities and contrasts of light.